As I have written before, I am thoroughly enjoying the few songs I have heard of Vampire Weekend, so of course I was going to make it out to the Troubadour for Vampire Weekend's first show in LA. The LA Weekly this week described their music as an "effortlessly appealing brand of jangly, African-inspired indie pop". Their quick guitar riffs, incredible percussion, high pitch keyboard and rhythmic bass do nothing to negate this comparison. While often, the buzz out of NYC can be deaffening, often times, they get it right and the Brooklyn hipsters are definitely right. Vampire Weekend's combination of world music, pop music, and ska are a perfect combination and are coming at the perfect time. 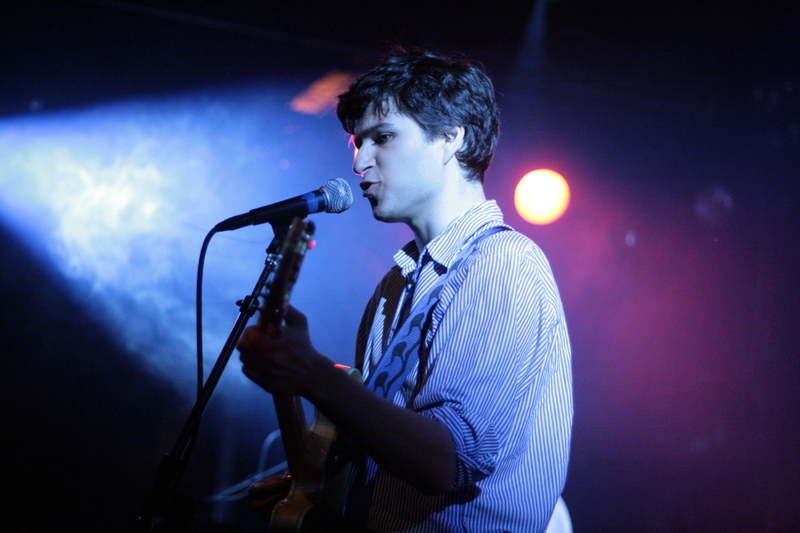 While bands such as Arcade Fire and Clap Your Hands Say Yeah steal indirectly from early Talking Heads, Vampire Weekend logically continue the trend and steal indirectly from later era Talking Heads. Top that all off with the band's Upper East Side prepster wardrobe of boat shoes and oxford shirts. As the LA Weekly wrote, they do it effortlessly. 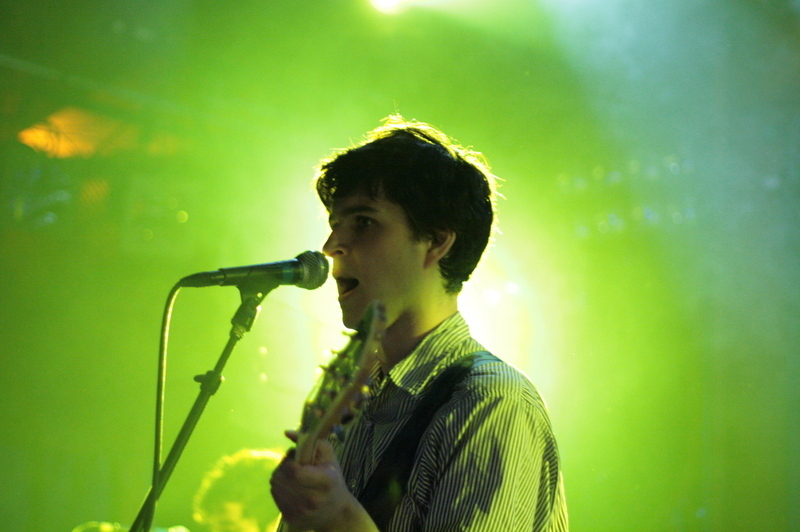 In the begin, Vampire Weekend seemed a bit tight and nervous, but as the set continued, the band loosened up and eventually got the youngsters in the front to dance along. Without sounding too much like the hype machine, I expect some big things from these guys and would love to see them again when I actually know the material. They will be playing in LA again tonight at Silverlake Lounge with Eastern Conference Champions, Faker and French Semester. (NOTE: the Eastern Conference Champions were scheduled to play at Cinespace, but they are now playing Silverlake Lounge). Should be a great line up. I am thinking about catching them when they come here in Toronto though I am unsure how popular they are here. I totally agree. Let the man get on with his job. I have to know if the future plans gets well with the American people, It will get the best results only in the long run. I opine that one should memorize if choose the the best essays writing firm, this would be a chance to have the interesting thing about this post or purchase the custom essay org just about our services. Therefore, it’s very good option. Try this now! that's awesome you can curl your hair with a flat iron! Yeah. I don’t buy it for a second either. She didn’t go there to tell them she wasn’t going to be able to work the next night. Not parking in the back lot and packing heat.